Today’s photo of the day is from the place I call home – the San Francisco Bay Area. I’ve seen the Golden Gate Bridge from many different views, but this one was definitely the BEST! We drove to Baker Beach, where you can walk on the beach and towards the bridge. The short stroll on the beach was lovely (although quite chilly and windy!). As we got closer to the rocks, the sand was wet and it was great for reflections. Ok, I think after seeing this view, the Golden Gate Bridge moves back up to the top of the list of my favorite bridges! I’ve always loved it, but had a slight preference for the Bay Bridge because I love driving over it. 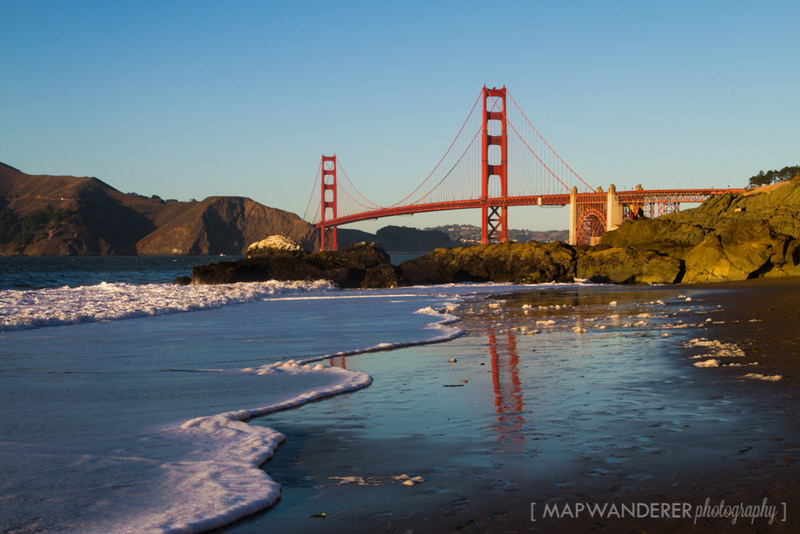 Anyway, if you’re in the area – go to Baker Beach in San Francisco! We’ve been to that exact spot and you’re right, it is the best view of the Golden Gate. We are hoping to get a view from under it later this year when we cruise out of the bay. That should be pretty good too. 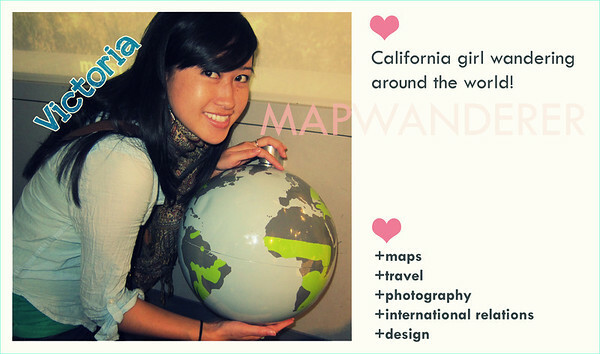 BTW, love maps too! I can waste hours going over them. Glad you think so too! I’ve never been on a cruise out of the bay – looking forward to any posts you have about them! Yes! Love meeting other fans of maps 😛 Have a lovely day! Must be the most beautiful bridge in the world!